Tumbling and Cheerleading Training Facility! Questions? Email jess@cheerintensity.com or call (518)27-CHEER! COME JOIN THE CHEER INTENSITY FAMILY! 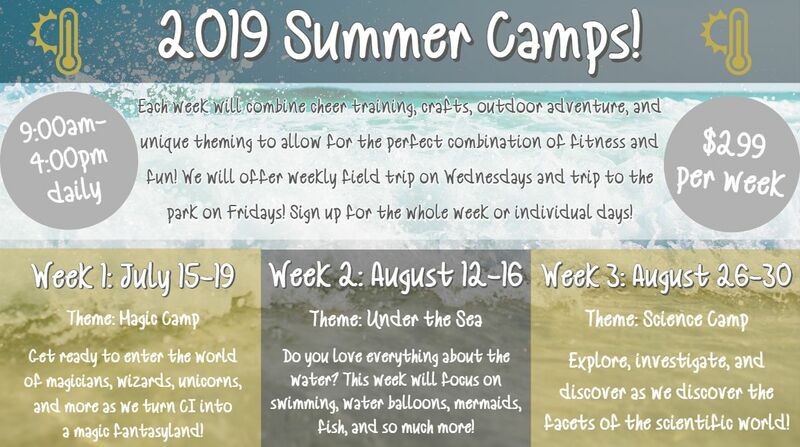 2019 Summer Camp Registration is now open! Click here to register! New for #Lucky13 at CI: Birthday Parties! If you would like more information about what we offer at Cheer Intensity please fill out this form! If you would like to receive our CI newsletter please CLICK HERE! * Best Cheerleading Facility in the Albany, NY Area!! * All Star National Championships in Orlando, Dallas, & Atlanta! TUMBLING, STUNTING, JUMPS, FLEXIBILITY OR CONDITIONING?? TO SET UP A TIME WITH ONE OF OUR QUALIFIED INSTRUCTORS!